Industrial Credit and Investment Corporation of India popularly called as ICICI Bank is one among the most reputed multinational financial institutions in India. 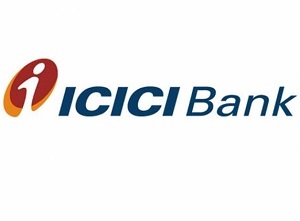 Having its central office in the country's commercial capital Mumbai, ICICI Bank is regarded as the second largest banking and financial services company in the country by asset value. ICICI Bank offers a lot of important services and products which include personal banking, wealth management, private banking, corporate banking, NRI banking, cards, ATMs and many other services. Also, ICICI Bank features an extensive network of branch operations with more than 3,500 branches across the country. Find below the list of ICICI Bank branches in Vijayawada along with IFSC code, location and contact details. Axis Bank, once known as UTI Bank is one of the leading private sector banks in India. Axis Bank is regarded as the 3rd largest private bank in the country that offers a wide range of banking services and products which include corporate banking, personal banking, credit cards, debit cards, ATMs, loans, agricultural and retail business, MSME, investment banking, wealth management and so on. Headquartered in the country's commercial capital of Mumbai, Axis Bank has an extensive network of branch operations with over 2,000 branches across the country. Find below the list of Axis Bank branches in Vijayawada along with IFSC code, location and contact details.